Best known for: Excellent affordable traditional Mexican meals. 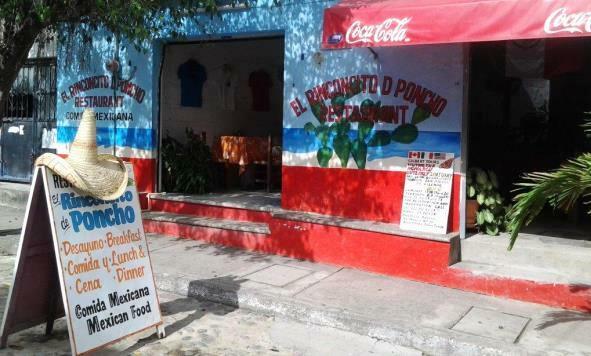 Nobody is as excited to have a new Bucerias restaurant than Poncho! Owner - Idefonso (Poncho) and wife Adelina are well known to Bucerias having worked here in the kitchen in other restaurants for many years. They are now the proud owners of their very own place, El Rinconcito de Poncho - just a half block off of Bucerias Centro town square on Mexico Avenue. 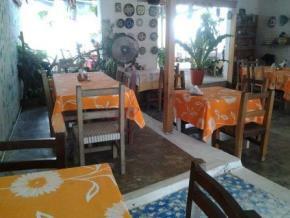 This restaurant is simple, the dishes are plentiful and the friendliness is in abundance. With many menu options and open for breakfast, lunch and dinner, Poncho serves up the meal quickly. Many have already opted to return a few times the same week! Appreciatively, Poncho likes to share his stories of the people (he affectionately refers to as friends) who helped him get to where he is today. Come and join in the memories...you won&apos;t regret it! Great place to have your next private party! We always look forward to seeing Poncho and having a meal. 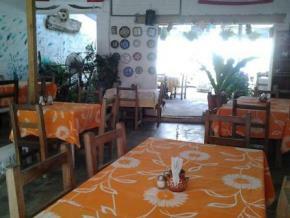 He treats one like family and a must stop in dining fare in bucerias. Excelente estancia y visita en restaurante excelente trato casi como en casa, disfrutando del sazón de la región ampliamente recomendable su visita al estar por la región ... Saludos ... Idelfonso. We have enjoyed eating at Poncho's place this year. Today we really enjoyed the Burrito - it was huge! Thought I would not finish it but somebody had to take it for the team, mission accomplished! My wife had the salad with steak, again it looked huge but she said the dressing was light and it felt like a healthy way to go! Thanks again for providing such excellent affordable meals! We've been to Poncho's three times now on our holiiday, and each and every time i've left saying it has been the best meal of my life..the food is fantastic and Poncho and his family are even better.. The mole poblano was killer.. Soooooo good. You. Must. Eat. Here.